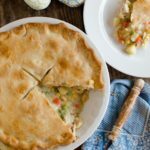 Use refrigerated pie crusts for this otherwise all-homemade and quick version of Chicken Pot Pie. Ok, so really the only thing about this Homemade Chicken Pot Pie that is not homemade is the crust. Store-bought refrigerated pie crust is the way to go with this one. (I love the Pillsbury brand.) But wait! Don’t abandon me yet. Just because there is no cream of whatever soup involved, it is still very easy to throw this dish together. Really, I’m serious. Don’t believe me? Let me convince you. 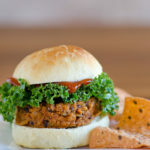 Getting this done quickly requires that you have your shredded cooked chicken ready to go. You can buy a rotisserie chicken and shred it, but what I more highly recommend is that the weekend before you decide to make this pot pie, use my tutorial for the best shredded chicken ever. I am sincerely pleading with you that the chicken in this recipe makes all the difference. This shredded chicken recipe will also supply you with the broth you need. 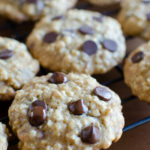 Again, you can use store-bought, but OH!-my-word the homemade ingredients raise the bar to out of this world delicious. If you have a large sauté pan or skillet, you will only dirty one pan (plus the pie dish you bake it in). You’ll quickly cook the potatoes and carrots until just tender (no peeling of the potatoes required!) and then wipe out the pan to sauté the onions and make your creamy soup. The hardest part is waiting for the Chicken Pot Pie to bake for 45 minutes. It is a total of about 1 1/2 hours to make this pot pie from start to finish, but if you get home from work at 5PM, you can be eating by 6:30PM. OR, how about assembling all of this the night before and placing it in the fridge to bake the next day? You can even freeze it, my friends! So, give it a shot and see what it feels like to have the satisfaction of making the Chicken Pot Pie filling completely homemade and leaving out the extra preservatives of a cream of whatever soup. You won’t be disappointed! 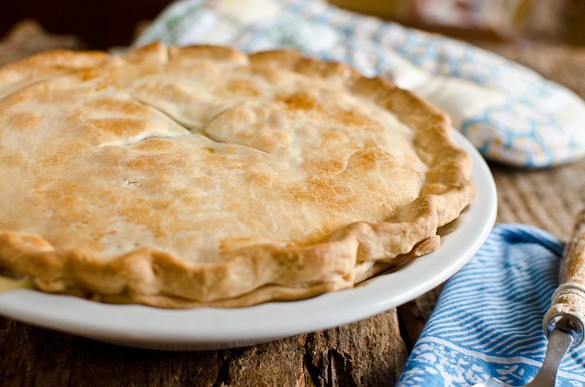 Preheat oven to 400 degrees F. Line the bottom and sides of a 9- or 10-inch pie plate with 1 pie crust. Fill the bottom with the shredded chicken, peas and corn; set aside. Place the potatoes and carrots in a large sauté pan or skillet. Fill with cold water, until the vegetables are just covered. Heat over high heat until it comes to a boil. Reduce heat, cover and let simmer for 8 to 10 minutes, until just tender. Drain, then transfer to the pie plate over the chicken, peas and corn. Wipe out the pan and return to heat. Melt 2 Tablespoons of the butter in the same pan, then add the onions. Cook until soft, about 5-7 minutes. Add the other 3 Tablespoons of butter and toss until melted. Stir in the flour, celery seed, salt and pepper. Slowly mix in the chicken broth and milk. Simmer over medium heat, stirring frequently, until thickened. Season with more salt, to taste. Pour into the pie plate over the chicken and veggies. Do not stir. Place the other pie crust over top of the filling, then tuck the edges under the bottom crust and pinch to seal. Brush lightly with egg wash. Slice an "X" in the center of the crust to allow steam during baking. Bake for 45 minutes. Remove from the oven and let set for 10 minutes before serving. Make Ahead: Assemble the night before and keep in the fridge, or freeze for the day you need it. If frozen, allow to thaw overnight in the fridge. Place refrigerated pie in the oven while it is preheating and bake until cooked and heated through. (Mine requires about 1 hour and 15 minutes of baking time.) Watch the crust. Once it is golden, cover just the sides with pieces of foil to prevent burning. This is great, Nikki! 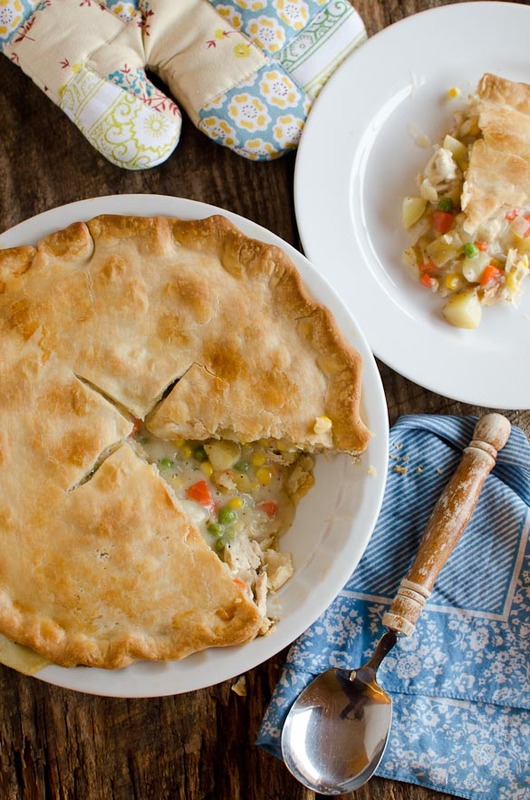 I have been craving chicken pot pie lately! Store bought pie crust is the way to go! It makes life so easy and still tastes great! Your crust looks so beautiful. I so wish mine could come out that pretty! We JUST posted our variation of smoked mini pot pies today! We put them in cupcake holders – but your picture of the big pot pie looks divine! Can’t wait to try this. But I have a question. What do you serve with this if anything. The crust, meat and vegetables cove the bread, meat and veg. parts of a meal. I serve mine with fruit salad (strawberries, pineapple, banana, and blueberries). The cool sweetness provides a lovely contrast to the hot savory pie. This is my favorite kind of comfort food! And I love using pre-made pie crust – makes life so much easier! Just made this for my Fiancé’s birthday. Have never made a chicken pot pie before, and this one was very easy and delicious! He loved it! So disappointed! We pinned your recipe, bought the groceries, went to cook it the next day and the actual recipe has disappeared. PLEEEEASE repost! It looked so delicious. Oh no! Kat, I’m getting in touch with my web developer right away. Not sure what happened… Sorry! It’s back! I’m sorry for the inconvenience. We just re-branded and transferred all database to my new site (this one) last night, which means glitches will happen in the process. Should be good to go now. Thanks for your patience. Thank you! The pot pie was delicious. I look forward to trying more of your recipes. Thank you for the quick response! I made the Chicken Pot Pie last night and it was amazing!!! My husband just kept saying, “Wow”! He even got up in the middle of the night and ate more. 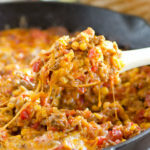 I’m so happy to have found your blog and I’m looking forward to trying more of your recipes. Thank you! What is the best way to reheat this? I made it four hours ago, and then my husband got called away for an emergency. It’s so tempting to just slice into it and eat it. How should I reheat the entire pie? I reheat in the oven at 350 until heated through. The time will vary depending on if it is cold now from the fridge. Or, we just reheat leftovers sometimes portion by portion in the microwave. This turned out incredible! We didn’t have celery seeds so I used dill weed instead! All that was left over from my family of 4 was one small slice. Delish! Saving this to make my wonderful husband a chicken pot pie. I made this last night, with variations. 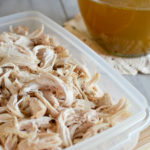 I had made and frozen the shredded chicken and broth last week. In the interest of time because I was cooking this on a weeknight, I subbed a couple cups of frozen mixed vegetables for all the veggies except the onion, which trimmed a good bit of time off of prep. All the filling wouldn’t fit in one so I used 4 frozen deep dish pie shells to make two pot pies and gave the second one to my daughter. I also added poultry seasoning, Greek seasoning, celery salt instead of celery seed, and a little garlic powder. Next time I will put the foil around the edges at the beginning of cooking, it is too hot to handle to do it during the middle of cooking. It turned out delicious! Will definitely make again. I’ve made this twice and its came out perfect both times. So delicious. Possibly the best pot pie I’ve ever had. My husband doesn’t even like pot pie and he went back for seconds. My 2 year old really enjoyed it too! I made this tonight and it is SOOOOOOO amazing! My husband loved it so much that he said it is his new favorite food (even though we have had chicken pot pie several times)! Thank you! So the veggies are still frozen when you put them in the pie crust? Hi Ashly. Yes, the corn and peas are frozen when putting in the pie crust. To make this even easier for a quick meal, use 2 large cans of chicken. It still comes out great. i’m just making my pot pie now…its in the oven. I used your recipe as a guide, since I wanted to do a great deal more “semi” than you had there, but used your basic amounts. I had rotisserie chicken that I had stripped and was sitting in the frig (so I diced) and had frozen mixed veggies (that I just simmered in a pot til just barely softened, potatoes did get diced small and cooked til just barely fork tenderish. I added about 1/2 cup of grated cojack cheese too. Made the gravy with a good amount of dried onion flakes and just one refrigerated crust (all I had) over the top of everything. I’m sure that it’s going to bubble out so put a pan under to catch anything. I had some of the gravy left over and it was soooo good, my husband asked me to dice some more of the chicken up into it and put it in a little container that he can microwave and put over toast in a couple of days. No waste here! I have made this pie tons of times. The best! But your link has been tampered with. When I clicked it i was sent to a spammed link. Thanks, Allison. Which link are you referring to? Can you use salted butter instead? Sure! Just cut down the salt called for in the recipe.